Gather ‘round friends, and upon you we’ll bestow the magical tale of Sun-ta. Sun-ta was born Bill Kringle; first cousin to Kris. At birth, both were gifted with extraordinary powers that they could eventually choose to employ in any way they saw fit; as long as it was for Mankind’s benefit. The two sprites were close, and spent much of their time together as they grew up in the North Pole. But while Kris quickly came to embrace the snow and cold, Bill never did. So when the time came for them to make a decision on how best to use their abilities, Kris opted to stay in the North. He, along with a contingent of elves, would spend each year making toys for the good children of the world. Kris would then deliver himself by way of reindeer-driven sleigh every Christmas Eve. While sincerely praising Kris for developing a way to spread material happiness across the globe, Bill, being the more practical cousin, decided to concentrate his efforts on keeping the globe healthy. (And himself warm in the process.) So he decided he’d shift his base of operations to Savannah, Georgia, and try to defeat Melanoma through available protective means and determined educational efforts. Before going their separate ways however, Kris and Bill recognized a dilemma that would affect them both. There was simply no way for them to continually monitor their progress throughout the entire world, while still being able to focus their full attention on their respective work. So on one crisp, cold night in December 1820, they sat down over dinner to figure out a solution. And then, just as Kris was about to mop up some olive oil with a breadstick, it came to him! They’d enlist a detachment of volunteer elves to help. Bill agreed that the idea was a good one, and was very grateful when Kris told him he’d assign half of the squad to Savannah to assist him. After hashing out the details, the basic agreement was that two elves would visit every household and introduce themselves to its family. With the parents’ permission, during the day they’d sit on a shelf and observe the proceedings. Overnight, they’d then return to each Claus cousin and report that day’s events. The information Santa’s Elf on the Shelf provided would greatly help him determine the amount of gifts to bestow on that home. At the same time, Sun-ta’s Elf on the Shelf would inform him of how the home’s sun-safety measures were going. 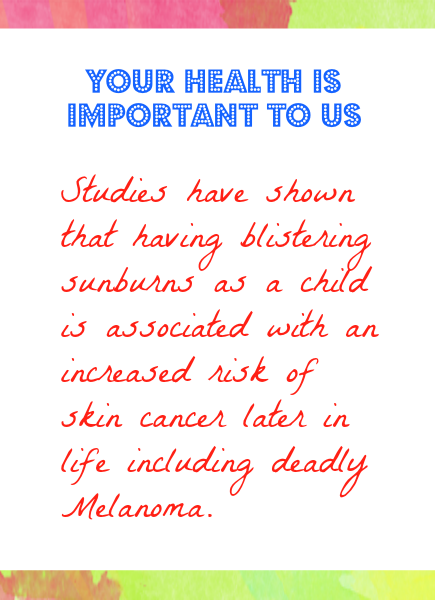 As an added precaution, while on the shelf Sun-ta’s elves would always visibly display products that help humans to avoid the sun skin damage that occurs throughout the year, and in every kind of weather. This way, every time a person looked up at Sun-ta’s elf they’d see sunscreen, Sundicators wristbands and a hat or ball cap. 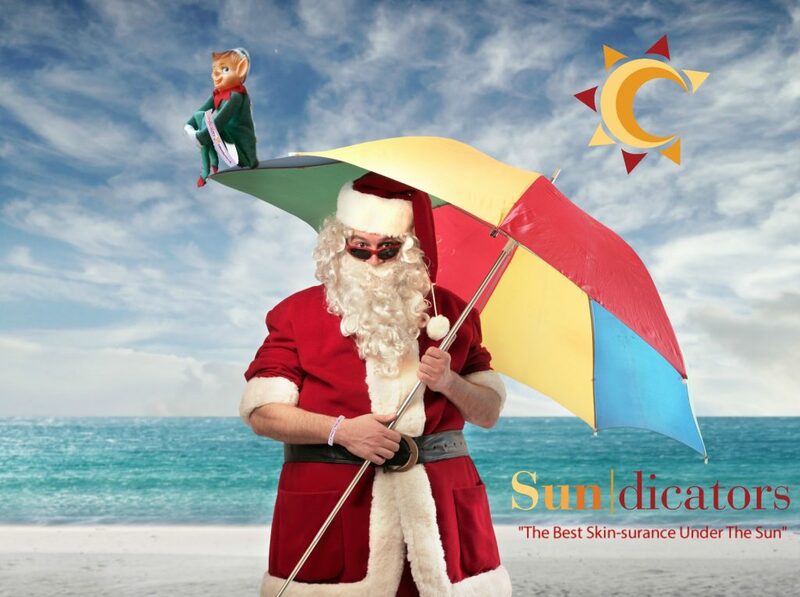 The best part of this arrangement is that, by following the example of Sun-ta Claus Elf on the Shelf, everyone would be able to protect themselves from Melanoma and live happily ever after!